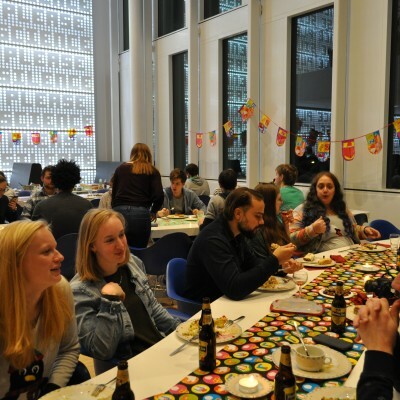 You are welcome to join us from 17:00-20:00 for an awesome international dinner in the New Gorlaeus Building! We will also play 30 seconds! To make sure we have a balanced three-course dinner, everyone will get assigned a course. Subscribe via the button above ("inschrijven") then we will let you know what course you have!